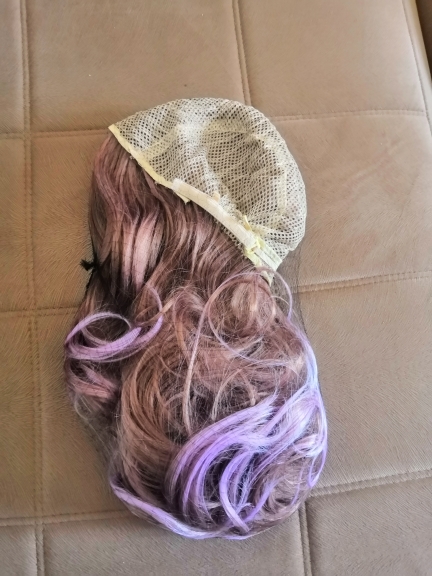 This is the smallest wig I have ever seen, I would highly suggest you only get this for a child because the wig cap is barely big enough to even get over my head, even then it doesn't cover it all. 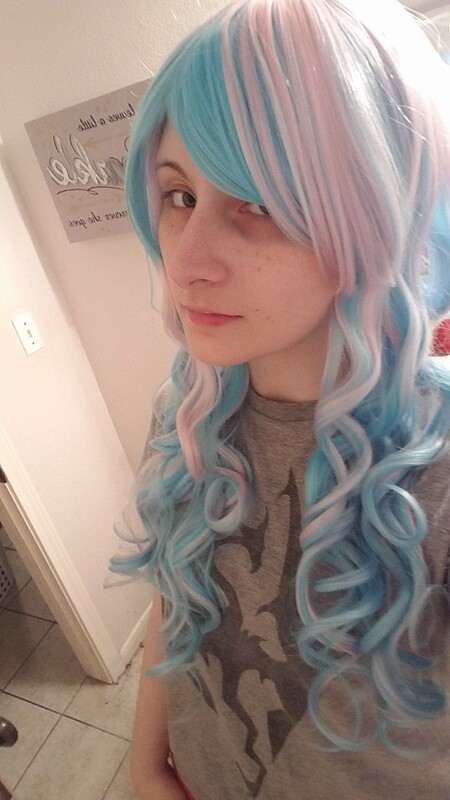 The material is fairly soft, not loose wefts, but the size setting in the cap were sewn improperly and I couldn't even adjust one side at all. 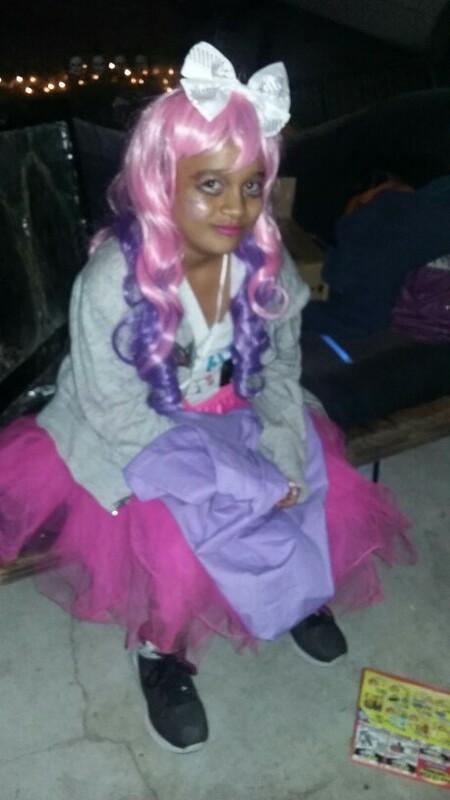 The colors a very vibrant, very cotton candy and I love it a lot. The effort is just in the wrong places. The wig is cool, but more red than in the promo photo. Arrived in 16 days, the track was tracked. Purchase satisfied. 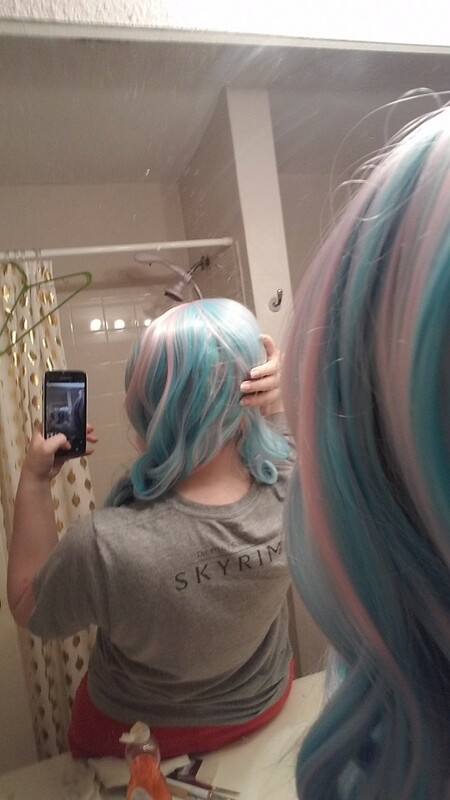 This wig is really pretty and the hair is shiny and soft. Incredible! Thank you. It's a pity that the nets for hair did not put. Other sellers are lying. Quality is not bad, hair is a lot, not bald))) in general, the child liked. Long delivery, drove almost a month, by the right time did not have time, but it's not the fault of the seller, he sent quickly.